[QODBC-Desktop] Troubleshooting - QODBC CustomSummary report not reconciling with QuickBooks CustomSummary. Troubleshooting - QODBC CustomSummary report not reconciling with QuickBooks CustomSummary. I am running the QODBC report "CustomSummary" and comparing to what should be the identical report in QuickBooks and I am encountering an issue where the Balance Sheet accounts are reporting zero amount (vs. the values I see in QuickBooks), while the Income Statement accounts appear to be reporting the correct amount. Could you advise if there is a parameter I need to change when running the stored procedure? I have setup below parameter QuickBooks UI. You are facing mismatch issue because QuickBooks SDK is passing parameter AccountFilterType='IncomeAndExpense' by default in the report query & you have removed Account Filter parameter from QuickBooks UI. 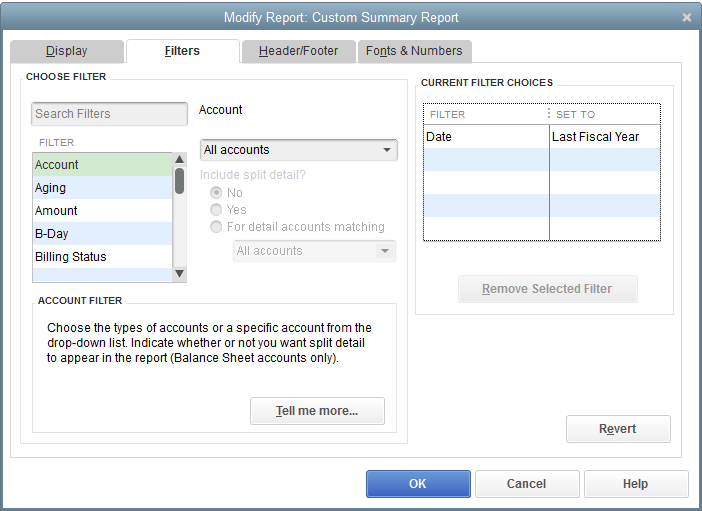 There is no option to remove default account filter from the report query. This is a limitation of the QuickBooks SDK that it does not support removing the default account filter. We have raised enhancement request QBWG-47383 at Intuit end for support removing the default account filter through QuickBooks SDK. As a workaround, You need to follow below procedure. 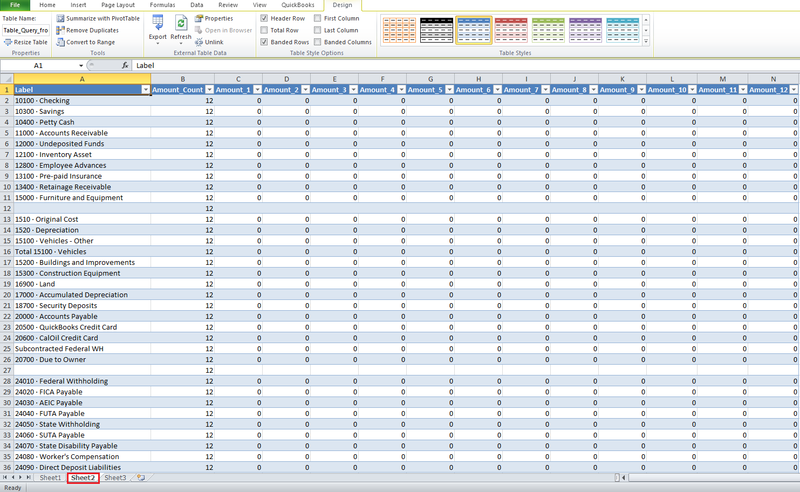 Run the report twice & export in two separate Excel sheet. 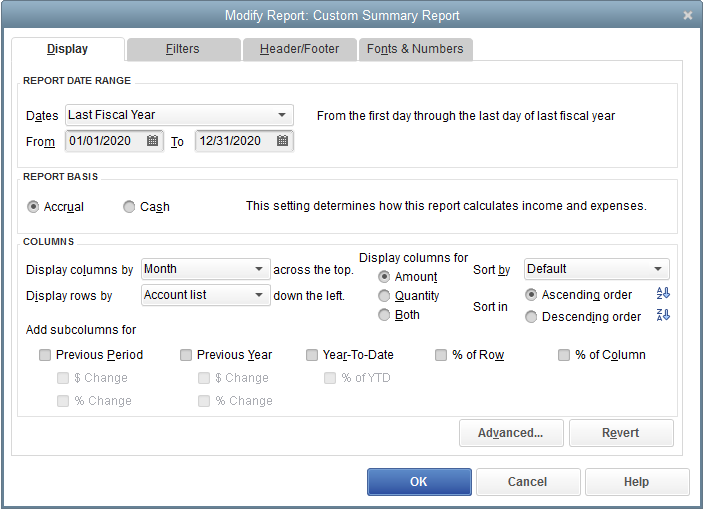 2nd using the filter AccountFilterType='IncomeAndExpense' (returning all rows and columns). 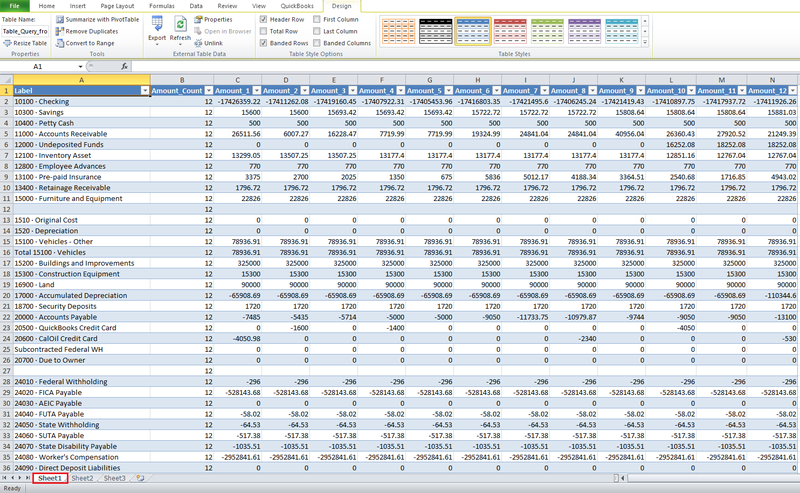 Then join the two resulting datasets and for the amount fields & update based on the logic of 1st dataset amount minus 2nd dataset amount (as the IncomeAndExpense amounts need to have their signs reversed). This produces the same end result as running the Custom Summary report out of the UI with no AccountType filter.